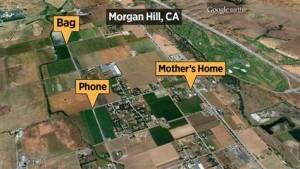 Abducted From Morgan Hill, CA 3/16/2012. 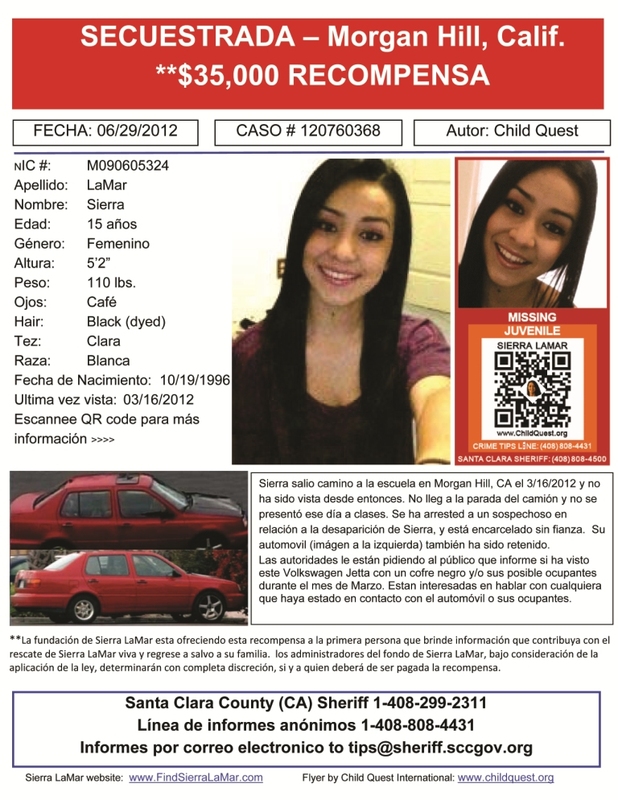 Help Us Find Sierra LaMar - Abducted From Morgan Hill, CA 3/16/2012. Searches announced as needed - Volunteer Registration 8am-9am on Search days with I.D. VOLUNTEER SEARCHES - Announced as needed. Check this page often! 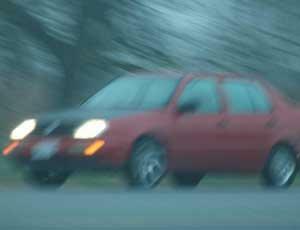 Investigators are still asking to speak with anyone who may have seen the Red VW Jetta (with black hood - pictured), which is distinctive because it has black hood, or had contact with the occupants in the car in southern Santa Clara County around the time Sierra disappeared on the morning of March 16. She was last seen at her home in unincorporated Morgan Hill, located near Palm and Dougherty avenues. None scheduled. Check back often. - Searches are by foot. Be prepared for a variety of terrain from fields to dense woods including areas with increased elevation. This website has been created for public awareness and community involvement dedicated to the search and safe return of missing Morgan Hill, CA teen, Sierra LaMar. The local community has come together and provided great support and volunteer efforts to bringing Sierra LaMar home to her loving family. The search efforts have been amazing with thousands of volunteers participating in the ongoing search for Sierra LaMar and keeping hope alive for her safe return. As new information, search details, and resources become available, this website will be the official information center and online gathering place focused on efforts pertaining to Sierra LaMar and her safe recovery. This site will also be a supportive message repository for friends, families, and the community to share their thoughts and prayers for Sierra LaMar and her loved ones. Please bookmark this website www.findsierralamar.com. Below you will find a description of the circumstances surrounding Sierra's suspicious disappearance. Throughout the website you will be able to find important information, photos, and news designed to help you help in the search for Sierra. The public plays an invaluable role in Sierra's recovery. Your efforts are making a difference! Thank you for your ongoing support! Circumstances of Sierra LaMar's Disappearance: Sierra LaMar is believed to be the victim of a CHILD ABDUCTION. Sierra was last seen on the morning of 3/16/2012 in Morgan Hill, CA by her mother as she was getting ready for school. That morning, Sierra left for school but did not make it to the bus stop and was absent all day from school. Her cell phone, purse, and some clothing have been located near her Morgan Hill, CA home (see map). Sierra has never been a runaway before and has not had any recent events in her life that would indicate she wanted to leave voluntarily. Sierra grew up in the city of Fremont (CA) prior to moving to Morgan Hill (CA). Friends from the Fremont area and the Fremont (CA) Police Dept. have also been notified Sierra is missing.